If you lost a diamond ring, tickets to the big game or your kid's $500 retainer, would you dive into the trash to save it? What about your business? What would it be worth to take a deep dive into your business’ trash? What if you could increase your profits by getting some help from waste expense experts? We work with more than 1,000 waste hauling and recycling vendors. We have rich data assets and know market rates. We manage all this data through a technology platform we've built for internal use called WasteVision. We use WasteVision to audit your invoices so you never overpay for services. ExpenseSmart® is the online portal you'll use to track your spending. When you want to track your expenses, you'll log into ExpenseSmart. It's easy to see what you're saving from audit results, service plan optimizations, and newly negotiated rate reductions. ExpenseSmart provides business intelligence and analytic tools. Easily track your waste costs by location, region or supplier. Use service summaries and financial reports. Cass puts you in control of your waste hauling costs. 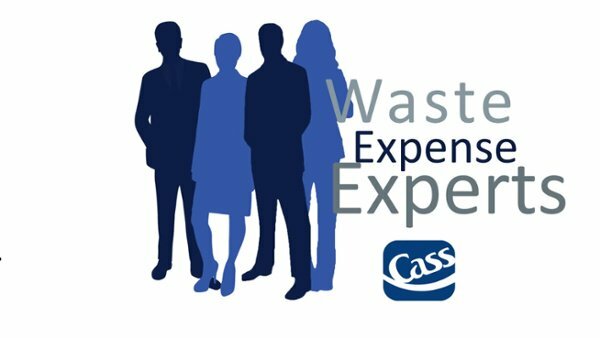 But cost savings isn't the only reason companies choose Cass. It's also because of the white glove service we provide. Your staff simply calls the Cass help desk when they have a service need. We do all the rest. Knowledge-based procurement. Cost control systems. ExpenseSmart management portal. Full customer service. You get it all from Cass.